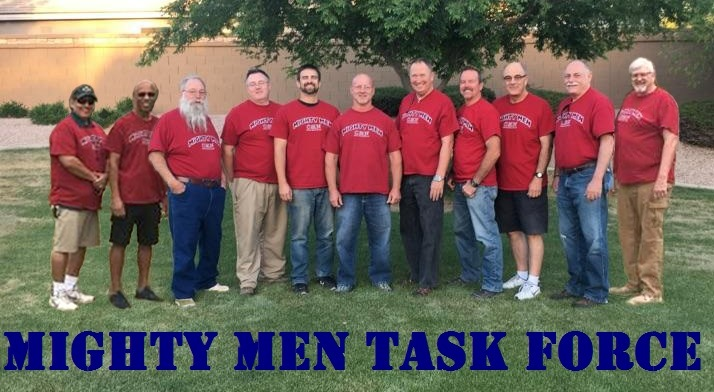 Christian Mentors Network (CMN) is proud to present the Mighty Men Task force - a team of Godly men who are striving to disciple & equip other men to full maturity in Christ (Colossians 1:28-29). Over the last 15 years, CMN has proven that the most effective way to disciple men is through one-on-one mentoring relationships. Recon Day is led by Barry Lynch who has been with CMN since 2007. Barry created the Mighty Men Task Force after personally mentoring more than 80 men. WHEN Is Recon Day? Saturday November 10th, 2018. Time: 8:00 a.m. to 11:00 a.m. WHEN Is Recon Day? Saturday October 27th, 2018. Time: 8:00 a.m. to 11:00 a.m.
Dr Roy Comstock will be the key-note speaker sharing the impact mentor discipleship has on individual lives and in churches. Mirror Lake State Park covers over 2000 acres and is just three miles south-west of Wisconsin Dells. Sandstone bluffs surround half of the lake which offers excellent fishing, swimming and canoeing, kayaking and bird-watching opportunities. You’ll also enjoy wooded campsites, picnic areas, a boat landing, and miles of biking, hiking and cross-country ski trails. Join us at the Compassion Queen Creek day where medical and dental professionals, social service agencies, churches, other faith-based organizations, and hundreds of volunteers come together to make a difference in our community ior one-day. The CMN Task Force Team from Prescott, AZ are a great group of guys who believe in the CMN ministry and what it can do in the lives of men in the Prescott, AZ area and beyond. Their ROUNDUP event is to help encourage men and share testimonies. It will be held February 24, 2017 at Mountain Valley Church of God 8123 E Manley Dr Prescott Valley, AZ. Staring time is at 8 am. Contact Barry@christianmentorsnetwork.org for more information. The theme of this Saturday conference for the leadership of Berean Bible Church is about Discipleship and Mentor Training using the CMN materials with Barry Lynch as the guest speaker. Barry will share his testimony and the relevance mentoring has in the church today. There will be a time for open Q&A. He will then lead sessions sharing the CMN's Mentor Training program.